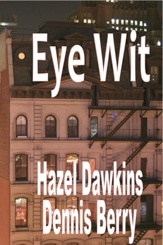 Hazel Dawkins, a technical writer in the field of behavioral optometry and one-time Bainbridge Island resident, is the author of two mystery novels: Eye Sleuth and Eye Candy (both 2011). The latter is co-authored with her former Bainbridge neighbor Dennis Berry. Both mysteries feature New York based Dr. Yoko Kamimura, an intrepid behavioral optometrist turned sleuth. Here's what Edgar winner Naomi Hirahara, author of the acclaimed Mas Arai series, wrote about Dawkin's first book, Eye Sleuth: "Optometrist & epicurean Yoko Kamimura is a likable heroine who fights with her head & occasionally with her fists. Readers will learn much about behavioral optometry through Yoko's sleuthing exploits in the Big Apple and England. 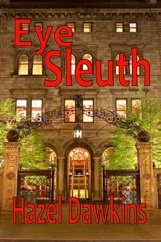 Eye Sleuth has intriguing twists & turns. A fun read". 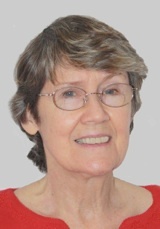 For more information on Dawkins and her books go to http://murderprose.com/MurderProse/Home.html.